Summary : Vehicle is exact duplicate of the Andy Griffith Mayberry series. Car was autographed by Don Knotts. 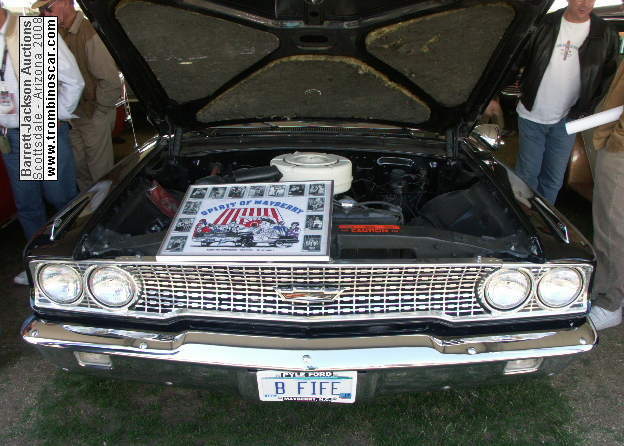 Used cross country by Mick Kieffer, a Barney Fife Impersonator. 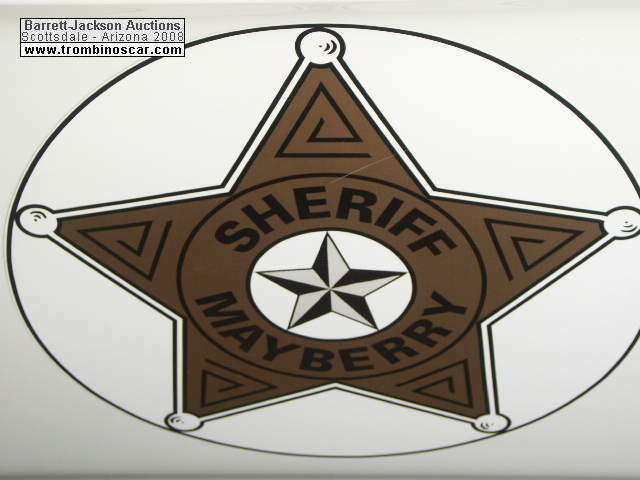 Description : This 1963 Ford Galaxie was given an extensive cosmetic restoration in 1994, to duplicate the Mayberry Squad car from the Andy Griffith Series of 1963. 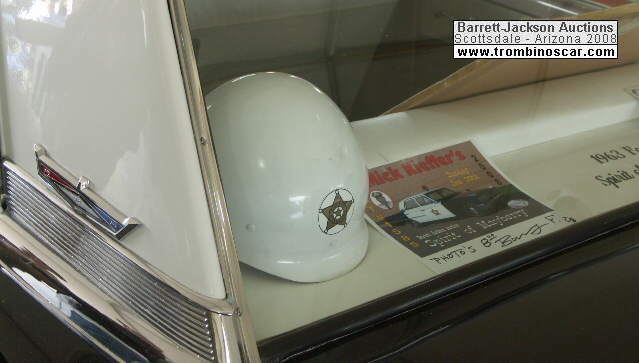 The original purpose for this car's construction was for use as a faithful vehicle companion for one of the nation's leading Barney Fife impersonator's, Mick Kieffer, to accompany him on his hundreds of nationwide personal appearances. The restoration included being stripped to bare metal, body panel repair, replacement and alignment, two part urethane primer sealer and urethane base coat and cleared, wet sanded, buffed, bumpers re-chromed. exterior trim repaired, refinished or replaced with NOS pieces, all rubber gaskets replaced and a new tinted windshield installed. Original door panels were reconditioned and are in very good condition. New carpet installed, seats reupholstered with service quality cloth and vinyl, replicating the original as close as possible. 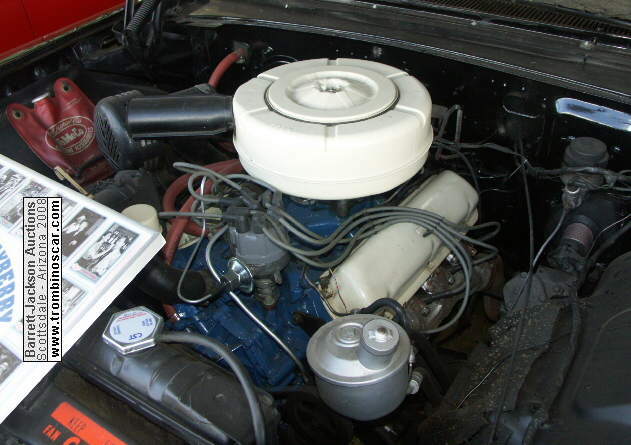 The car is powered by its original 289cid V8 with Cruise-a-Matic transmission. The engine has been detailed. The trunk contains the original jack and spare tire, a recreation of Barney's motorcycle helmet and a Mayberry Survival Kit, i.e., picnic basket. 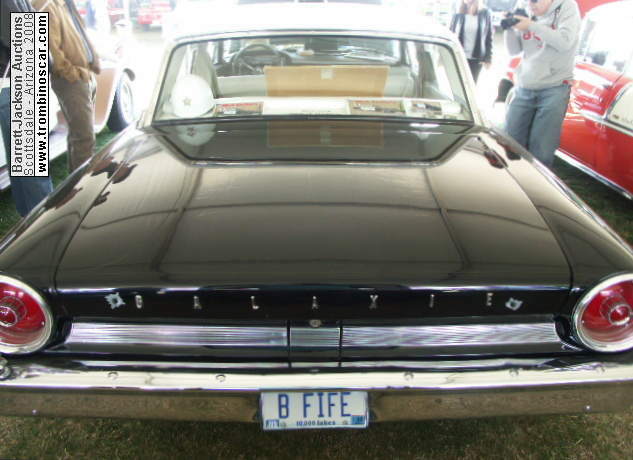 With many hours of research, the stock Galaxie was reconfigured to replicate the TV show car. 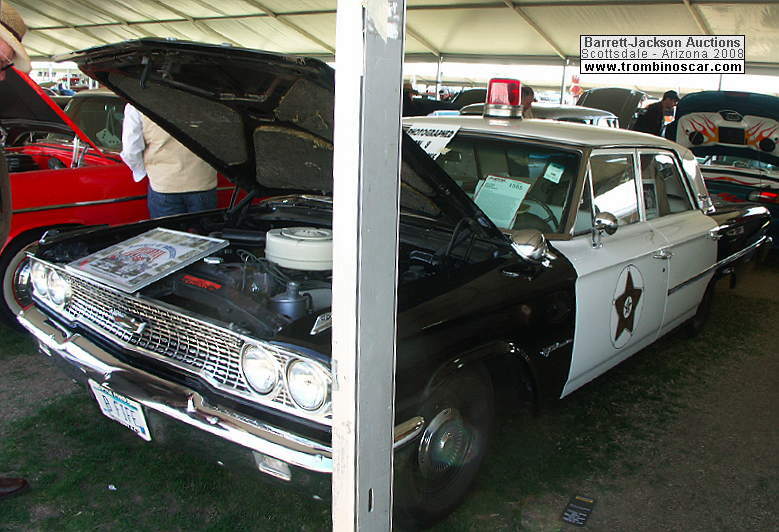 This included the installation of the period perfect and prototype correct and fully functioning Federal Siren under the hood, a revolving two bulb roof mounted beacon, a non-functional fender mounted unity spot light, rear bumper mounted whip antenna and perfectly replicated Mayberry Sheriff door decals. 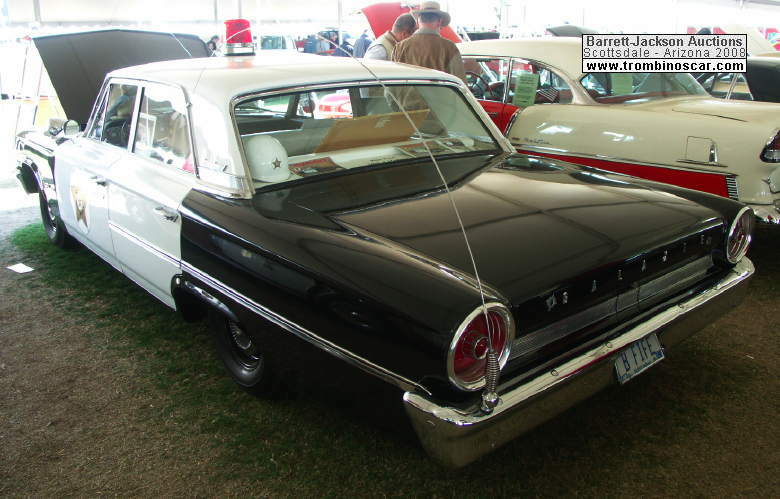 The car wears period correct black walled bias tires with original police service hubcaps. Under the dash, in place of the police type radio, is a fully functioning citizen's band radio. The car is equipped with an AM/FM cassette stereo and wired tow way PA speaker under the hood. Included with the car is a continuous loop cassette tape of the Mayberry theme song. This car has been autographed by the late Don Knotts, with documentation. In addition to Mr. Knotts, this car has been photographed with ten of the other original cast members. Copies are included with the sale. 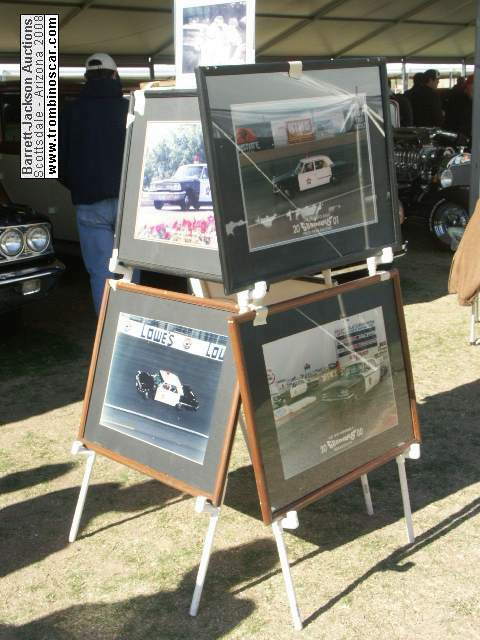 The car has been featured on two major magazine covers, "Rod and Custom" and "Goodguys Gazette". In addition, it has been the feature subject of many magazine and newspaper articles across the country. The car's film credits include an episode of the television series, "COPS", filmed in Des Moines, IA, the film "TRASH", filmed in California, and a rock video for the Harvey Danger Band. The car is a fully functioning automobile.